Which size Tyreweld can should I use? Different sized cars have different sized tyres, and so the pressure needed to inflate them varies as well. Tyreweld has been developed so you don’t overfill your tyres, and you don’t have to buy a bigger can than you need. Tyreweld comes in 3 sizes – 300ml, 400ml and 500ml, for small, medium and large cars. If you’d like help finding the right can for your tyres, then this guide will help. Every tyre comes with a series of numbers and letters written on the side. 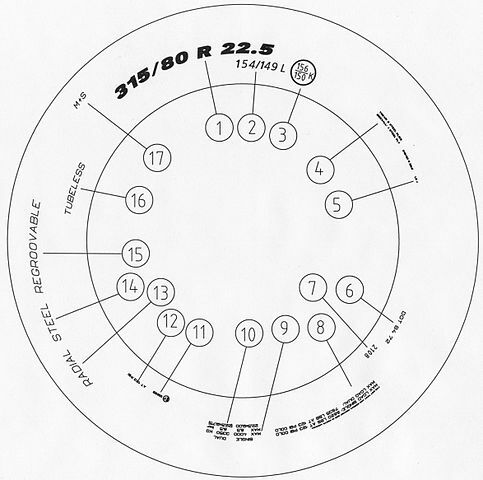 To select the right Tyreweld can, you only need one number from this series. In the middle part of the code there will be a two digit number, such as 13, 14 or 15 (it usually has an R before it). What happens if I buy the wrong size Tyreweld? Before buying Tyreweld, you should check your tyre size to make sure you buy the correct can. Most shops will provide a refund and the correct size can if you return it unused. We always recommend you buy the right size can for your tyres to avoid any problems. Is Your Car the Perfect Target for Break-Ins? Can Electric Cars Be Used to Tow?